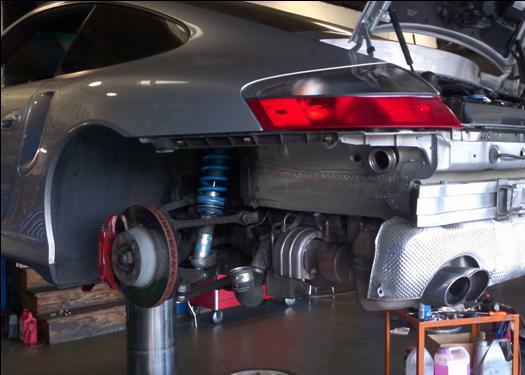 We recommend every 2 years a brake system fluid flush. Brake fluid retains moisture which lowers boiling point, decreases pedal feel and allows corrosion of brake components. Brake rotors are a very important component of the brake system. We do not recommend resurfacing rotors. Resurfacing rotors makes them thinner and reduces its ability to dissipate heat and can lead to warping, undesirable noises and brake fade. 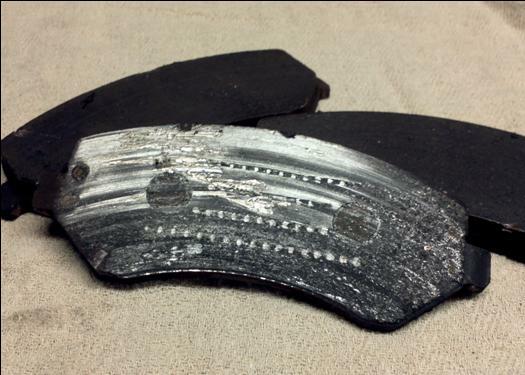 Here's an example of a worn out brake pad. As you can see this pad is past the friction material and what most people refer to as "metal on metal", allowing pads to get this low can cause caliper damage and will reduced stopping power creating an unsafe condition.